How do I publicly share my Infographic? 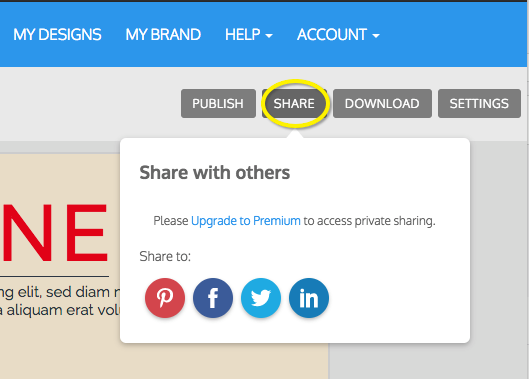 When you’re ready to publicly share your infographic, click on the 'Share' button located on the top right corner. 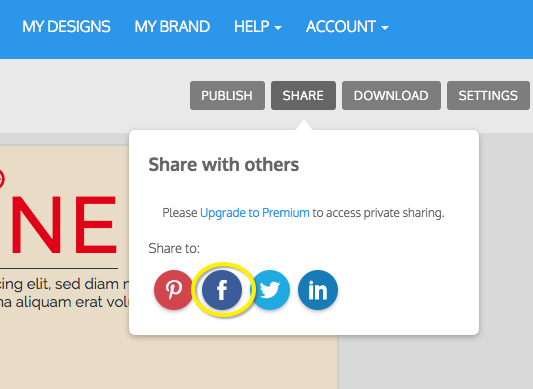 When the menu drops down, select the platform you would like to share your work to which will prompt a window to open up and you can post accordingly.